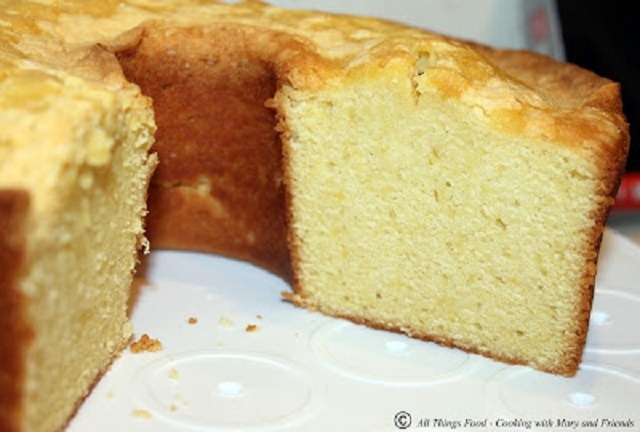 Southern Pineapple Cake is amazingly moist and delicious. It’s so easy to make and even easier to eat! 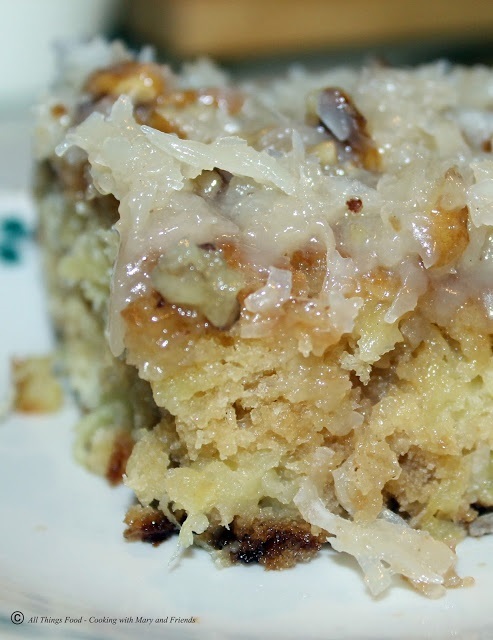 This recipe is from my co-host, Mary from Cooking with Mary and Friends. She is also the food columnist at Camden Living Magazine, Contributor to Basil and Salt Magazine, and South Carolina small family farms advocate. Mary cooks with pastured meats, farm-grown vegetables, and farm fresh dairy ingredients. You can also connect with her on Facebook, Twitter, Instagram, and Pinterest. 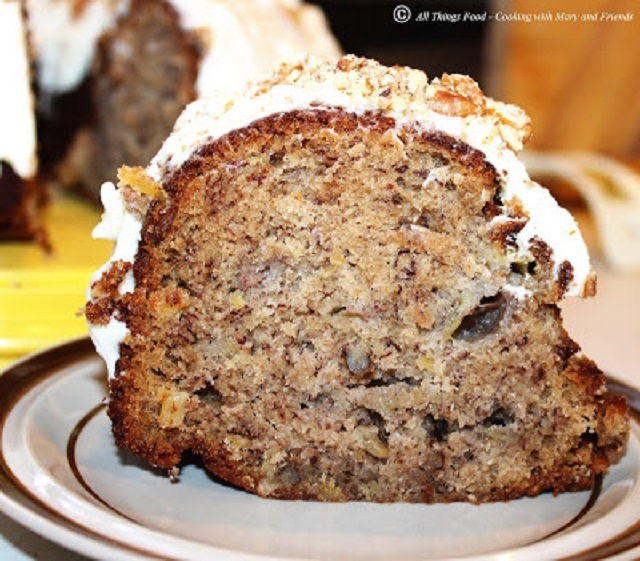 Thank you to Mary for sharing one of her favorite cake recipes! 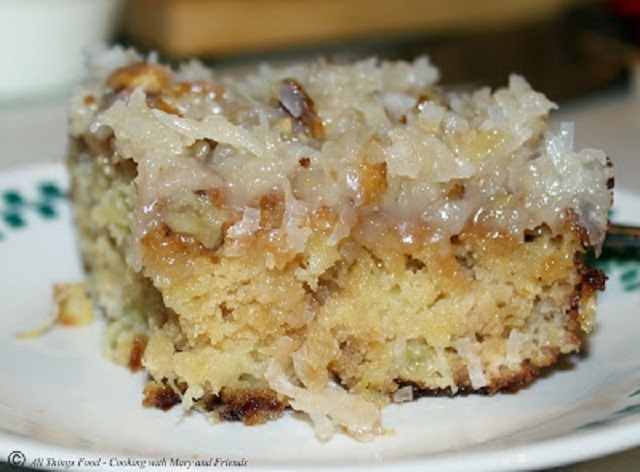 With pineapple, coconut and nuts, this cake has a tropical flavor. This cake is a “pot luck” favorite, but also makes a great after-school snack cake, or anytime you want an easy dessert. Just a few simple ingredients and you’re done. You don’t need a mixer, just beat the batter in a mixing bowl with a wooden spoon. 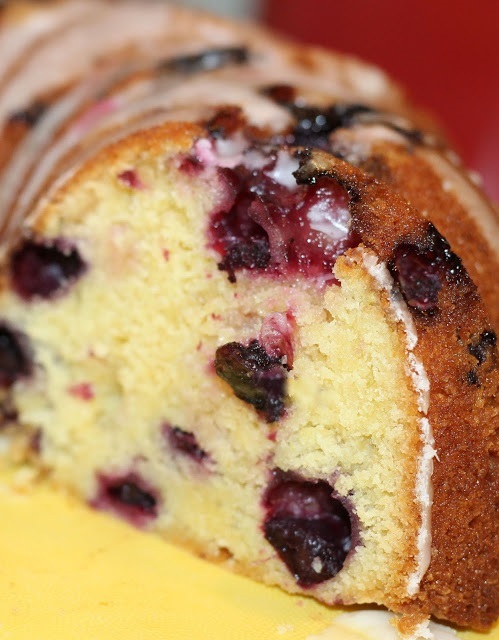 You may have all of the ingredients on your shelf and could make this in under an hour! 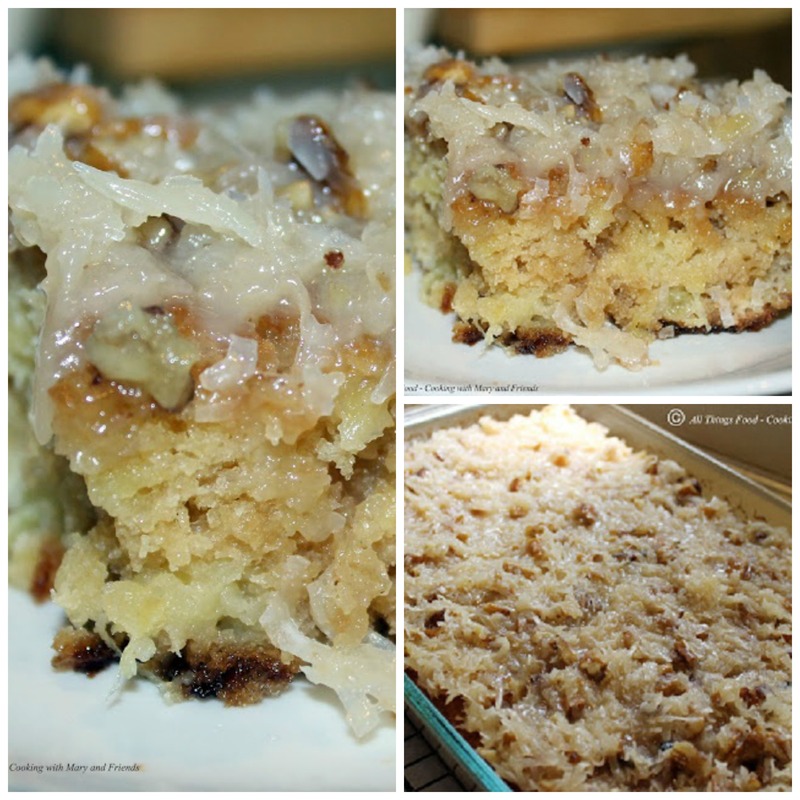 The topping reminds me of the top of a German Chocolate Cake. I could easily be addicted to this! This cake would be perfect for an Easter brunch, or just because you need an incredibly delicious cake for a pot-luck. Everyone will be asking you for the recipe! Preheat oven to 350 degrees. Grease or spray with baking spray a 13 x 9 -inch baking dish. In a large bowl mix together flour, sugar, baking soda, eggs, vanilla and crushed pineapple (with juice) and beat until well combined. Pour batter into prepared pan and bake 40-45 minutes or until golden brown. While cake is baking, heat butter, evaporated milk, vanilla, and sugar in a medium-sized saucepan until it begins to boil over medium-high heat. 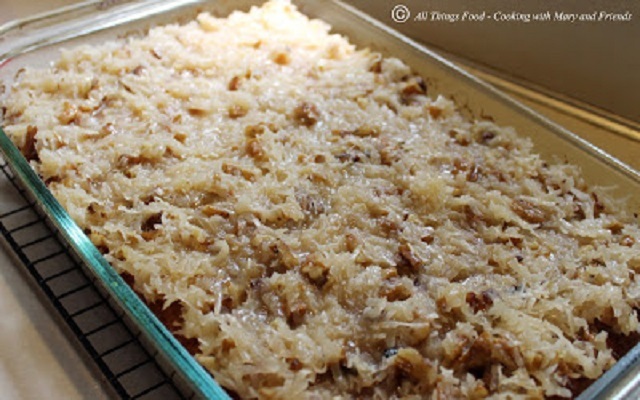 Stir in pecans or walnuts and coconut and continue cooking on medium heat about 5 minutes, stirring constantly. The mixture will thicken slightly. Removed baked cake from oven and poke holes all over the top using a wooden chopstick or the tines of a large serving fork. Spread topping evenly over top of warm cake and let cool. This Southern Pineapple Cake is amazingly moist and delicious. The best part is it's so easy to make and even easier to eat and enjoy. Grease or spray with baking spray a 13 x 9 -inch baking dish. In a large bowl mix together flour, sugar, baking soda, eggs, vanilla and crushed pineapple (with juice) and beat until well combined. Pour batter into prepared pan and bake 40-45 minutes or until golden brown. While cake is baking, heat butter, evaporated milk, vanilla, and sugar in a medium-sized saucepan until it begins to boil over medium-high heat. Stir in pecans or walnuts and coconut and continue cooking on medium heat about 5 minutes, stirring constantly. The mixture will thicken slightly. Removed baked cake from oven and poke holes all over the top using a wooden chopstick or the tines of a large serving fork. Spread topping evenly over top of warm cake and let cool. Quickest and best cake!! My first cake was devoured in less than 6 hours! Now my husband and neighbor frequently ask when I’m baking another one. Good one Nettie!